Served as Dean from 24/12/1970 to 18/9/1971. 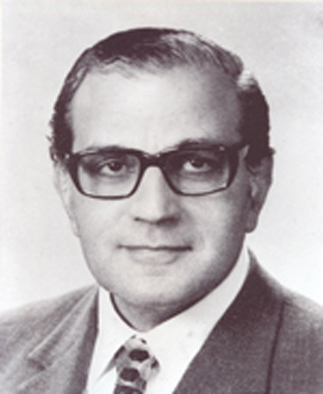 -Received a Bachelor degree in Medicine and Surgery from Cairo University in1938. -Worked as privilege doctor in Cairo University 1/2/1939. -And then served as Surgeon, University hospitals-Cairo 1/3/1940. -Then worked as assistant surgeon 1/3/1945. -Then he came to Alexandria and was appointed as teacher of surgery in 1/5/1945. -And then was appointed assistant professor in 13/8/1949 . -Then was appointed professor of surgery at 7/12/1953. -Then the vice dean of the Faculty of Medicine in 25/12/1955. -Appointed as Dean of the Faculty of Medicine in 24/12/1970.And then was appointed director of the University from 19/9/1971to 1/9/1976. One of his most important achievements was the establishment of a new section for experimental surgery, and this was by the construction of one and a half floor above the physiology building in the same time with preparing houses and surgery rooms for experiments animals and specialized labs to facilitate research . He adopted the establishment of 2 new certificates in emergency medicine, which the student takes now a diploma and master’s from it.